At Repair a Sash, we believe that high quality windows are essential for improving the appearance of your property. Sash windows are a highly desirable feature of any property but are particularly common in period properties. Our new sash windows are designed to fit seamlessly with the existing style of the windows currently in your property. We are perfectionists at heart and can match your existing sash windows exactly down to even the smallest of detail. All of our new sash windows are available in a range of timbers and finishes to blend in with your current exterior, improve the energy-efficiency of your property and add an additional level of sound-proofing. we carry out is fully guaranteed. 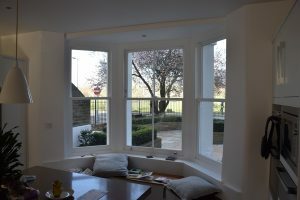 So, if you live in a historic property but are looking to improve your window fittings, you can trust us to provide a high-quality new sash window replacement service. 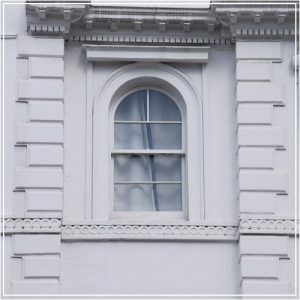 At Repair a Sash, our new sash windows London are made using highly durable and long-lasting materials to ensure the longevity of your windows. Sash window replacement can make a dramatic difference to the appearance of your property and can also improve your home’s insulation. We have a range of finish options available for new sash windows London and new sash windows replacement. If you’re interested in a modern finish to upgrade the windows currently in your property, we have contemporary style sash windows available. Alternatively, if you are looking for windows which will seamlessly upgrade those in your property at the moment we have traditional and heritage style sash windows. Whichever style window you choose we have a range of excellent quality timber types available to give you the finish you require, including Accoya, Sapele, Oak and Engineered Redwood. Included within our new sash window replacement service is a high quality finish, with secure fastenings and locks to give our customers the peace of mind that comes from an improved level of security. We pride ourselves on our attention to detail; all our skilled craftsmen are experts in installing a wide range of new sash windows and can provide you with finishing details to suit your requirements. If you’d like to find out more about our new sash window replacement services or would like book a free survey, get in touch with one of our experts today. We are more than happy to answer any queries you might have relating to a renovation project.